Matching sets are so cool. 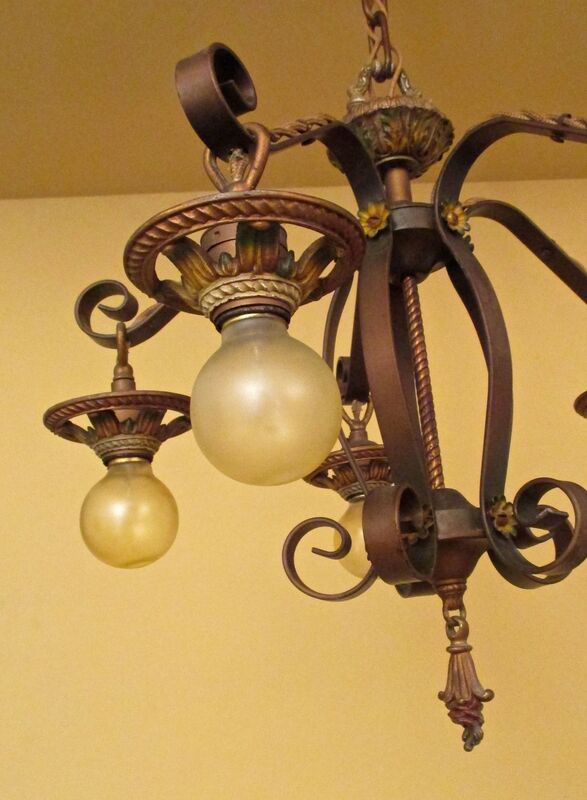 I collect matching sets, and finding enough fixtures to do a whole house can take years. The largest set I ever collected ended up with 27 companion fixtures! 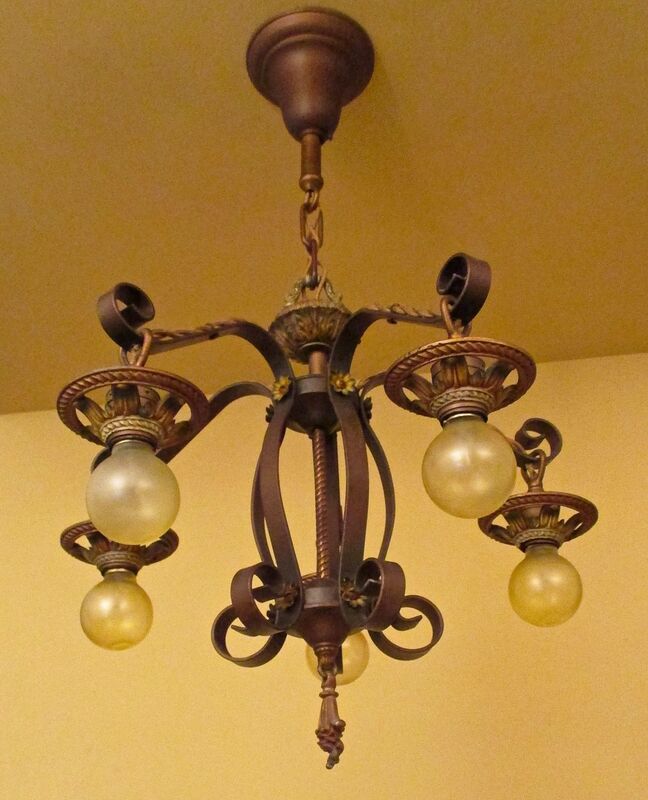 Today I listed a set with just three fixtures, a chandelier and two matching sconces. Such a set would have often been used in a living or dining room. The set is by Markel Electric Products (MEP), which was founded by Joseph Markel (1888-1966) in 1920. Markel was born in Lithuania and came to the United States in 1891. The company was located at 145 Seneca Street in Buffalo, New York. A century ago, this was a bustling industrial area. Down the street was the thriving Larkin Company, and their globally famous Administration Building designed by Frank Lloyd Wright. Today, the area is but a shadow of its former thriving self, and block after block is vacant. The Larkin Administration Building was demolished in the 1950s — a stunning act of cultural vandalism. Buffalo, like most rust-belt cities, has been troubled for a long time. However the city retains a wealth of incredible architectural masterpieces, including the magnificent Martin House Complex by Frank Lloyd Wright. The complex has been meticulously resurrected, and if you are ever in Buffalo it is a must see! Buffalo also has a very cool retro-style baseball stadium. 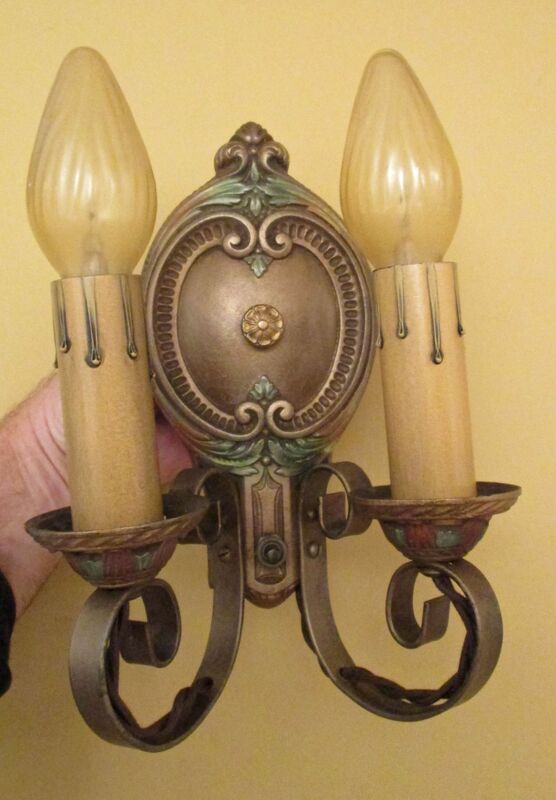 And two matching 2-arm sconces! These type fixtures are called strap-style because they are made primarily from flat metal bars, like belt straps. What I love about such fixtures is how curvaceous they are. Just lovely to look at. The style was very popular in the 1920s and 1930s, and used in a variety of home styles including bungalows, Arts & Crafts, Spanish-Revival, Colonial-Revival, and Four-squares. One Response to A Matching Set!